Our Logic Smoke Cigar E-liquid will trick your taste buds into thinking you are smoking a real cigar. 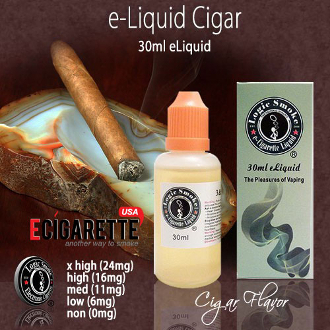 It has a wonderful, robust tobacco flavor similar to your favorite cigar and will give you hours of vaping without the dense smoke and ash associated with a real cigar. Buy some Logic Smoke Cigar E-liquid today and enjoy.